When I think of a can of Coca-Cola, I automatically picture the iconic red can. However, this holiday season the cans are changing colours for a good cause. They will be white in honour of the polar bear! 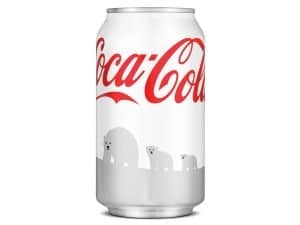 Coca-Cola has teamed up with the WWF (World Wildlife Fund) to launch the “Arctic Home” campaign to raise money and awareness for the polar bears living in the Canadian Arctic. With nearly two-thirds of the world’s polar bears living in Canada, this Arctic species is an important part of our ecosystem and culture. Coca-Cola will contribute $2 million to WWF over the next five years, and through the “Arctic Home” campaign, will match consumer donations made until March 15, 2012, up to $1 million USD. Canadians can visit www.iCoke.ca to make their donation. 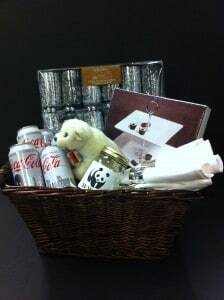 Funds raised will go toward WWF’s polar bear conservation work – for their survival today and into the future. Support the Polar Bears and make a donation today! Very nice prize package! I would LOVE to help the animals! Please ignore my entries also. I just noticed it is a Canada only giveaway. sorry. 16th- I posted my vote in the tweet area, and vice versa. The tweet is posted in the vote area. Sorry about this! =( Please still count the entries. Thank you!